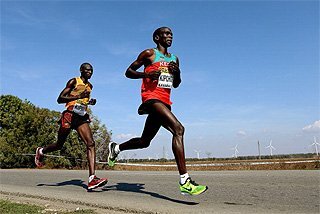 World record holder David Rudisha earned his second win in Australia as he dealt imperiously with the challenge down the home straight of Jeff Riseley. 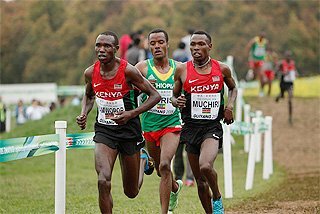 The Kenyan crossed in 1:44.94, 0.07 faster than he had achieved in Sydney a week earlier, with his local rival second in 1:45.29. New Zealand’s Tom Walsh produced an Oceanian record of 21.37m to win the men’s shot put. Australia’s London 2012 Olympic Games champion Sally Pearson won the 100m hurdles despite being unhappy about a late switch of her race from the back to the main straight. 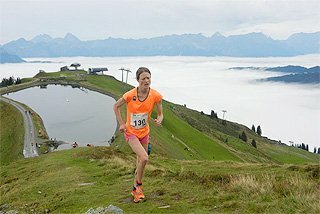 “It’s so far from where I want to be,” said Pearson of her time of 12.93, as compared to her season-opener of 12.74 two weeks earlier in Brisbane. In the women’s javelin, South Africa’s Sunette Viljoen threw 66.62m to defeat home thrower Kim Mickle (66.57m) and Chinese record holder Lu Huihui (64.59m). Shaunae Miller went top of the 2015 world list for 200m as she trimmed 0.31 off her personal best on the super-fast National Stadium track in clocking 22.14 at the Jamaican Invitational International. It was a national record for the 21-year-old former world youth and world junior champion from The Bahamas. She left in her wake the USA’s Tori Bowie, who was second in 22.29, while Jamaica’s own world 200m champion Shelly-Ann Fraser-Pryce was third in 22.37. US 100m hurdler Jasmin Stowers improved her personal best and the 2015 world-leading time by 0.01 to 12.39, helped by a 2.0mps following breeze. Behind her, Jamaican siblings Danielle and Shermaine Williams ran 12.77 and 12.89 for second and third respectively. Home sprinter Asafa Powell earned big cheers for winning the 100m in 9.84 ahead of Ryan Bailey, who had anchored the US team to victory over Jamaica at the IAAF/BTC World Relays in Bahamas the previous week. Elaine Thompson made it a Jamaican double in the 100m, clocking 10.97 ahead of Nigeria’s Commonwealth champion Blessing Okagbare (11.05) and USA’s Allyson Felix (11.09). 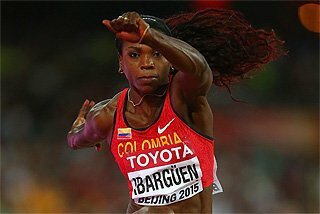 Colombia’s world triple jump champion Caterine Ibarguen stretched her unbeaten run to 22 contests with a world-leading 14.87m in her opening contest of the year. Tianna Bartoletta won the long jump and 100m double by the closest of margins at the Seiko Golden Grand Prix, finishing a centimetre clear of Russia’s Darya Klishina in the field event with 6.69m before taking the sprint decision by thousandths of a second over Ivory Coast’s Marie-Josee Ta Lou after both were clocked at 11.26. Bohdan Bondarenko repeated his high jump win here of 2014 with a best effort of 2.37m. Australia’s Olympic champion Sally Pearson won her 100m hurdles easily in 12.66. There were meeting records from Ukraine’s Anna Mischchenko in the women’s 1500m (4:02.47) and Hungary’s Anita Marton, whose shot put of 18.94 bettered Valerie Adams’s 2003 mark by a centimetre. Four days after competing at the Shanghai Diamond League, David Oliver had the energy to improve his season’s 110m hurdles best with a win in 13.15 that put him top of the 2015 world listings. The world champion’s performance was one of four in the Bird’s Nest stadium preparing to host the IAAF World Championships later in the summer to earn a place at the head of the 2015 lists but for the bulk of the 40,000 crowd the high point was a men’s high jump which saw home hope Zhang Guowei earn victory with 2.34m at his third attempt before boldly but vainly moving to 2.40m, a centimetre higher than Zhu Jianhua’s 1984 Chinese, and former world, record. Wenda Nel, of South Africa, topped the 2015 rankings with a 400m hurdles personal best of 54.37 as she headed the US pair of Tiffany Williams (55.22) and Olympic silver medallist Lashinda Demus (55.86). Polish hammer world record-holder Anita Wlodarczyk produced a 2015 world best with 77.73m, and Christina Schwanitz did likewise in the shot put with a personal best of 20.77 that put paid to home thrower Gong Lijiao’s hopes of repeating her Shanghai victory. Ivory Coast’s Marie-Josee Ta Lou won the 100m in what would have been a personal best of 11.08 had it not been for a marginally illegal following wind of 2.1mps for record purposes. Senegal’s World University Games silver medallist Amadou Ndiaye earned the only home win as he held off Ukraine’s two-time European bronze medallist Stanislav Melnykov to win the 400m hurdles in a season’s best of 50.53. Dafne Schippers brought a wave of home excitement to the AA Drink FBK Games in Hengelo as she set a Dutch 100m record of 10.94, bettering her time of 11.03 set in Glasgow the previous year. Aided by a 1.8mps tailwind, Schippers finished ahead of world junior champion Dina Asher-Smith, who set a British record of 11.02 while fellow Briton and 2007 world youth champion Asha Philip also set a personal best, clocking 11.10. European indoor 60m hurdles champion Alina Talay won the 100m hurdles in a personal best of 12.70 while in the women’s discus, the in-form Cuban Denia Caballero won with 65.46m and four of her five valid throws would have been enough to win. 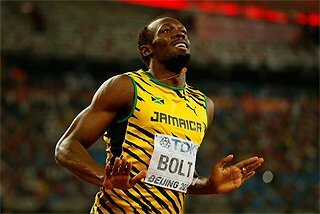 Three weeks after suffering a rare defeat at the IAAF World Relays, multiple world and Olympic champion Usain Bolt returned to business as usual by recording his seventh victory at the Golden Spike meeting as, in cold and rainy conditions, he clocked 20.13 in a 200m that was his first individual international race of an injury-dogged season. Sharika Nelvis, broke the long-standing 100m hurdles meeting record of 12.65 set in by Poland’s Grazyna Rabsztyn in 1980 as the American clocked 12.55 into a 1.7 mps headwind. Kenya’s Commonwealth javelin champion Julius Yego was ninth after two rounds and in order to remain in the competition he needed a good third round throw. 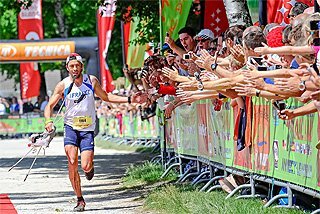 It was better than good, a national record of 86.88m that earned victory. Olympic triple jump champion Christian Taylor broke the oldest of the Golden Spike’s meeting records – the 16.82m achieved by Viktor Saneyev in 1979 – three times, with a best of 17.52m. World 400m hurdles champion Zuzana Hejnova was the only other Czech winner on the night, clocking 55.13. 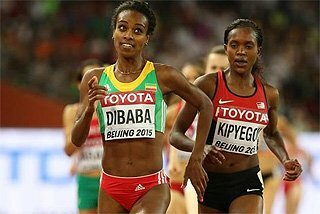 In her first race since clocking a 2015 world-leading personal best of 14:14.32 in the 5000m at Shanghai, Ethiopia’s Almaz Ayana won the 3000m in a national and African all-comers’ record of 8:22.22 which also topped the season’s rankings. A week after producing the longest throw of 2015, 91.39m, at the IAAF Diamond League meeting in Birmingham, Julius Yego was beaten by the man who preceded him as African record holder, Egypt’s Ihab Abdelrahman, who threw a meeting record of 85.44m, with the Kenyan’s best being 83.99m. Poland’s world hammer champion Pawel Fajdek also threw a meeting record of 79.90m to finish nine centimetres ahead of Hungary’s 2012 Olympic champion Krisztian Pars for his seventh successive win. 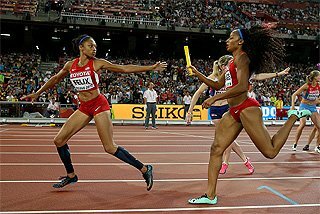 The women’s 400m race was won by Allyson Felix in a meeting record of 51.05. Meeting records also came from Russia’s Angelina Zhuk-Krasnova, who won the pole vault with an African all-comers’ record of 4.56m, France’s Pascal Martinot-Lagarde, who won the 110m hurdles in 13.37, and Lithuania’s Zinaida Sendriute, who threw 61.37m in the discus. 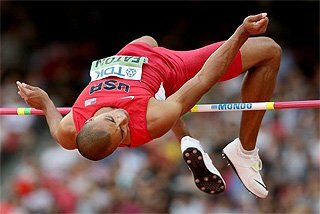 Three days after finishing fifth at the Oslo Diamond League, Ukraine’s world high jump champion Bohdan Bondarenko cleared 2.36m to win an event including Russia’s Olympic champion Ivan Ukhov and Canada’s Commonwealth champion Derek Drouin. Mike Rodgers of the United States made the most of temperatures in the mid-30s to win with a season’s 100m best of 9.88, finishing ahead of Jamaica’s Andrew Fisher, who broke 10 seconds for the first time, clocking 9.94. Fisher’s Jamaican compatriot Elaine Thompson won the women’s 100m in a meeting record of 10.90. Bosnia and Herzegovina’s Amel Tuka improved on his own national record as a swift final 50 metres earned him victory in 1:43.84. Joe Kovacs won the shot put with 21.22m and home poster girl Ruth Beitia won the high jump with a best of 1.96m. 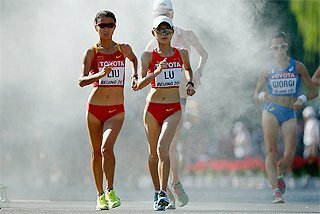 Three athletes who had recently failed to reach their final at the IAAF World Championships Beijing 2015 earned a measure of consolation with impressive victories in the historic Olympic stadium. Lynsey Sharp defeated an 800m field including newly-established world champion Marina Arzamasova, of Belarus, to win in 1:57.71, taking more than a second off her personal best when producing the fastest time by a Briton since Kelly Holmes’s victory at the 2004 Olympics. The men’s 800m was won by 2012 Olympic Games silver medallist Nijel Amos, who finished almost a second clear of Poland’s Beijing silver medallist Adam Kszczot in 1:43.28. And in her first race since falling in the Beijing semi-finals, 2008 Olympic Games 100m hurdles champion Dawn Harper Nelson won in 12.82. 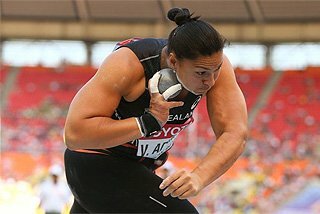 Two newly crowned world champions excelled in the throws. Poland’s Piotr Malachowski won the men’s discus with a best of 66.13m, and Christina Schwanitz won the shot put on home territory with 19.66m. Sandra Perkovic, newly deprived of her status as the discus world champion, responded to her home crowd with a dominating victory and a meeting record of 69.88m. Turkey’s world championships finalist Ramil Guliyev won from the outside lane of the 200m in 19.88, a national record and the fastest time by a European in 2015. Russia’s new world high jump champion Mariya Kuchina won with a best effort of 2.00m. 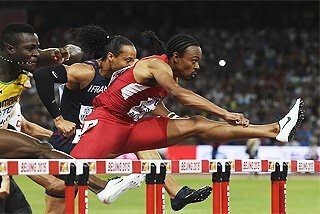 Her compatriot and fellow world champion Sergey Shubenkov won the 110m hurdles in 13.11. On the eve of the meeting, New Zealand’s Tom Walsh had won the shot put in Fountain Park, improving his Oceania record by four centimetres to 21.62m. Burundian 800m runner Francine Niyonsaba, making a comeback having been out of action in 2014, produced a stand-out win on a rain-affected evening, clocking 1:57.62 to finish clear of Kenya’s world championships 1500m silver medallist Faith Kipyegon, who was second in a personal best of 1:58.02. Qatar’s Femi Ogunode won the men’s 100m in 9.93, just 0.02 outside his Asian record. Having won in Zurich and Brussels, world silver medallist Adam Kszczot won his third consecutive 800m race, clocking 1:44.82.